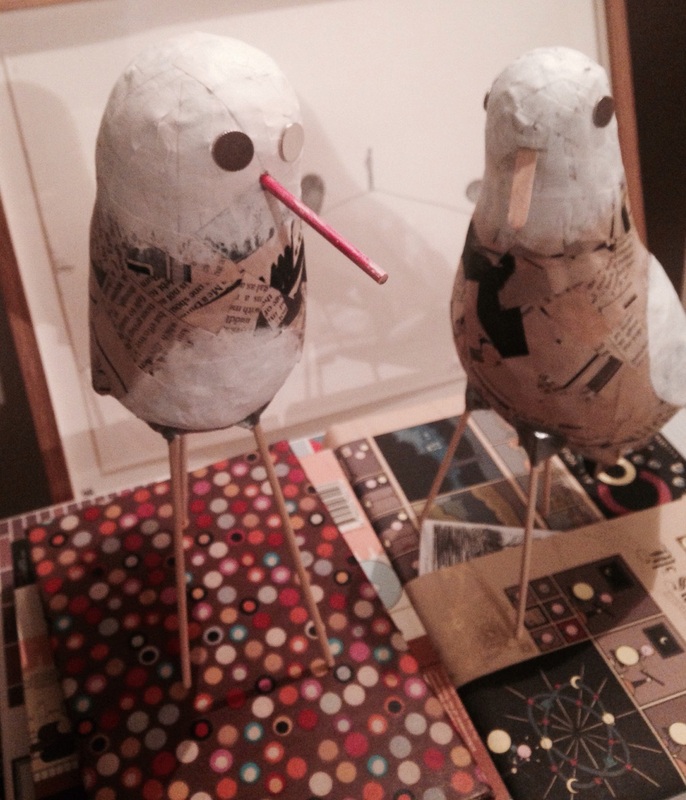 My flock of papier mâché birds is expanding. They are very good homers. And clean too.